And the latest news on them. We make good even better and therefore we want to keep you updated about everything new from the world of BurnusHychem. 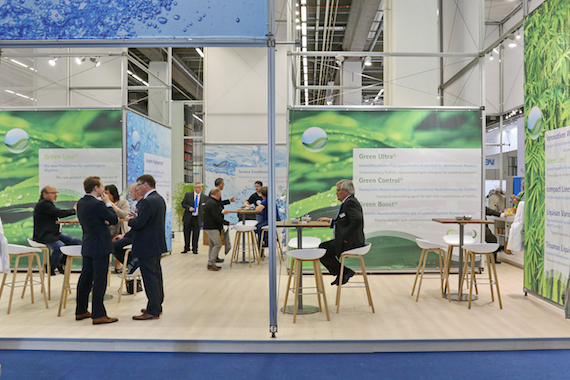 If you have visited our BurnusHychem stand, then you were able to experience the open and communicative atmosphere and you had certainly interesting conversations about the benefits of our products and the latest innovations. NEW: the new future-oriented product portfolio ”Green Line®” – the first available modular system for sustainable washing in Europe. NEW: TENAPRE Odoro® – the concentrated softener that absorbs unpleasant odours in the textiles. NEW: compact Line® – the dosing technology of the future – with only one pump for practically all dosings. 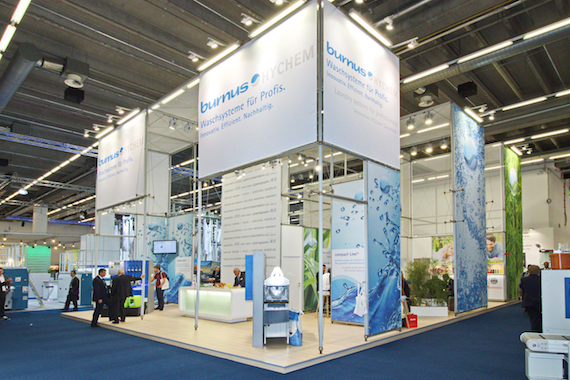 You can find some impressions from the exhibition stand in our picture gallery, which hopefully will encourage all those who could not attend this year to visit the next Texcare and to awaken their interest for BurnusHychem.